The Minister of Communication, Adebayo Shittu, has reacted to the call for the resignation of the Independent National Electoral Commission chairman, Mahmood Yakubu following the postponement of the Presidential and National Assembly elections. The Minister stated that the decision may cause more havoc for the electoral body than good in conducting credible, fair and fair elections. Recall that the Chairman of the commission had on the eve of the Presidential and National Assembly election declared the election postponed. Upon the postponement of the election, some politicians including the National Chairman of the All Progressives Congress, Adams Oshiomhole, have called for the resignation of Yakubu. 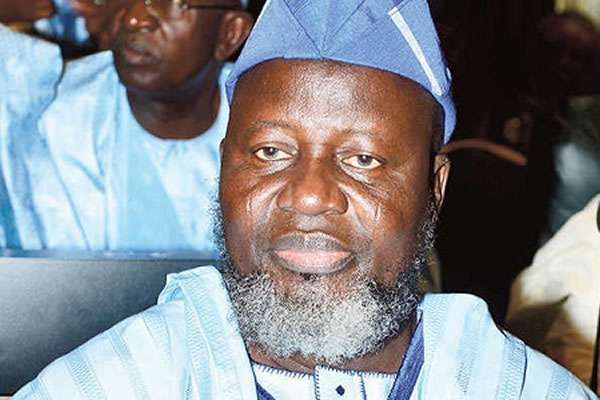 Shittu while speaking with newsmen at his residence in Ibadan on Monday, stated that if the INEC chairman resigns, the election may be postponed for the new incoming chairman to prepare for a credible, free and fair election. He called out the Chairman of APC over the rationale behind his call for the INEC chairman’s resignation. “When Oshiomole supervised that party primaries election, which can be described as most horrible and corrupt in the history of the party, who called for his resignation? “I will not support such call for the resignation of the INEC chairman. To err is human. We have not seen any political motivation as to what has happened in INEC. “If Oshiomolhe calls for the resignation of the INEC chairman, he should also be preparing to resign as chairman of APC for conducting primaries marred by irregularities, and even accused of corruption in its conduct. Did anybody ask him to resign for the horrible management of primary elections under his watch? “This is the first election that professor Yakubu would be conducting, so we need to give him the benefit of doubt and I will advise that all the political parties should be vigilant. If you bring in another chairman, when does such a person begin to learn the process? Or will you on the basis of that call for another rescheduling of the elections? Certainly, it is unacceptable for anyone to ask for the resignation of INEC chairman”. While speaking on commencement of campaigns by political parties, the minister stated that INEC lacks the power to ban campaigns for any election more than 24 hours prior to the commencement of such election. He explained that based on the electoral act, the commission does not have the power to stop campaigns more than twenty-four hours prior to any election. “Section 99 of the electoral act stipulated that campaigns for elections ended twenty-four hours to the election, hence the INEC does not have the power to extend the ban beyond the stipulated time as stated in the electoral act. “Again and again, they must justify that ban, because, under the law, campaigns must stop 24 hours to the elections. Today and tomorrow, 24 hours, let just assume is 48 hours. To sustain that ban within the period the election would be held, that would be justified, but certainly not the elections that have been extended. “Then, certainty, there is no justification for them to say that people should not campaign. People must go ahead to the campaign. They must to ahead to the campaign. And for political parties, they must make the best of the time.